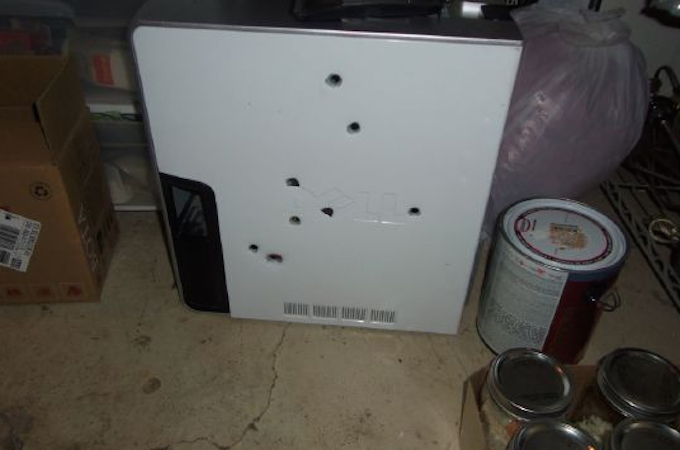 Remember the guy who executed his misbehaving computer in an alley behind his home? He won’t be shooting up any more electronics any time soon, after he pleaded guilty to discharging a firearm within the city limits of Colorado Springs. He won’t be going to a special prison where they send computer murderers, but will simply be on a six-month deferment or probationary period, during which he can’t commit any new legal infractions, reports The Smoking Gun, as part of a plea deal. Once that probationary period is over, the misdemeanor charge against him will be dismissed. The 38-year-old told TSG that he doesn’t expect he’ll be putting down any computers anytime soon.